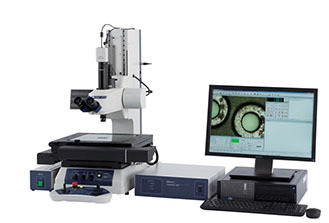 Mitutoyo's measuring microscopes can be used to perform both measurement and observation, inspecting a variety of objects including semiconductors, electronic and electrical components, automobile precision components, resin moldings, tools, and medical products. 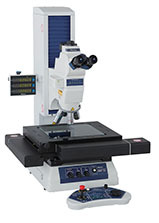 This type of microscope can be used to measure an object that is too soft for contact measurement, or the diameter of a hole that is too small for a measurement probe to contact. A balance between optical performance, overall accuracy, and ease of use is an important requirement for a measuring microscope. A measuring microscope enables you to observe elements that have either been invisible or difficult to see and measure them. 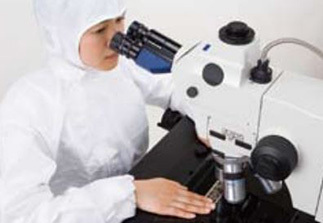 Mitutoyo believes that expectations for measuring microscopes will continue to grow and that user friendliness, high measurement data throughput, and environmental friendliness will be demanded at the same time. 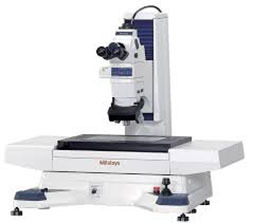 Mitutoyo designs, develops and manufactures all microscope parts – including those for the body, such as the lenses and optical tube – and the highly accurate built-in digital scale. Their in-house design and development process allows them to proactively offer consultation on special requirements and respond to customer requests for customized fabrication.